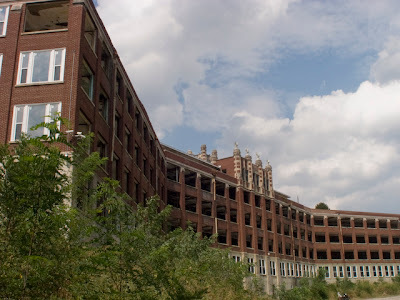 I have just returned ghost hunting with my wife Debbie at Waverly Hills Sanatorium. 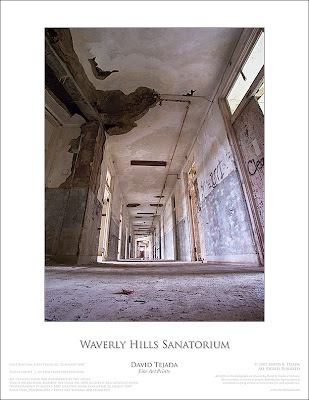 Waverly Hills is located just south of Louisville, KY. What a wonderful place to photograph, 160,000 sq. feet of empty space, or is it. We did not see any ghosts during our visit but I did manage to get a few nice pic's. 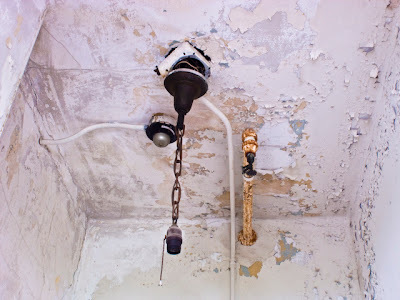 Deb and I were able to go inside Waverly during daylight hours to capture the following images. These where all shot with my Olympus 5060 wide digital camera. I hope to return someday to shoot with my larger digital cameras. 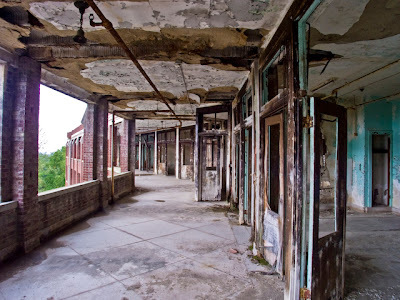 There are a total of 5 floors in this former TB hospital. Waverly was build in the early teens and had over 60,000 deaths related to TB. This is a view down one of the hallways on the 4th floor. 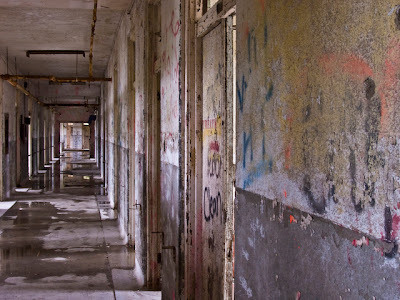 The 4th floor is thought to be the most haunted? 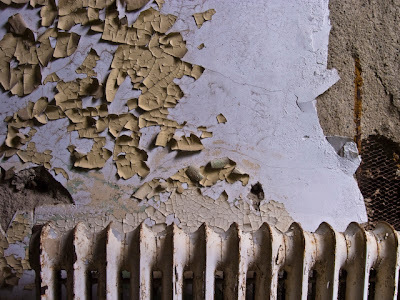 Here is a small detail in one of the rooms. 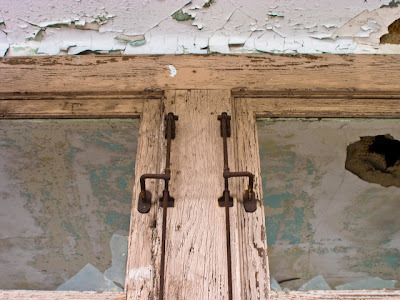 Here is a window detail from the veranda. Here is a view of the veranda where the patients would be rolled out for fresh air. Another detail of a lamp on the ceiling. This is how my one of my Fine Art images are printed. I hope to show the Waverly these prints with hopes of selling a few to raise money for the preservation of the Waverly.